"I am blown away by the tone palette of this amp! I can't believe how responsive it is--more so than that studded "clean jazz amp" we all know. If you simply look at your guitar differently while playing the ZT Custom Jazz Club, the amp responds differently!" 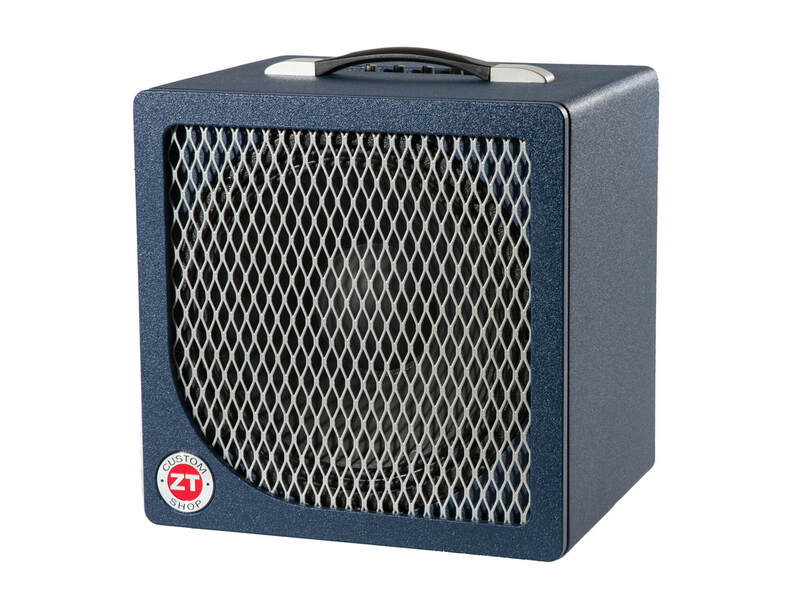 The Jazz Club is a 12” combo with 220 watts of power designed with, and for, jazz guitarists, offering abundant headroom and natural, uncolored sound. Weighing in at about 25 pounds, it makes loading out at the end of the night a breeze. Its elegant, midnight blue finish can glisten in the spotlight or disappear in the shadows – and the tough-as-nails, industrial-grade paint is as roadworthy as it gets. Custom & special run finishes & colors will also be available. The Custom Shop takes our original mission – to make musicians’ lives easier by providing lightweight, compact, high-quality amps with minimal, yet effective, controls – to the next level. ​Every ZT Custom Shop product is hand-built in our lab in Benicia, California. We source components as locally as possible, and every major part is made in the USA. The Jazz Club is priced at $1,299. Shipping is free within the United States. Outside these areas, we will provide quote when we receive your order. Current lead time to ship from time of order is approximately 4 weeks. Charlie Apicella demos the Jazz Club in studio.